* maybe the most compelling announcements coming out of WonderCon belonged to IDW, particularly word that they'll be acting as a kind of curator of some of the company's most respected creative efforts into book form, starting with the Walt Simonson Thor material. I think there's enough white noise in Disney's recently announced strategies for various comics problem and where Marvel's publishing unit fits into that that I'd hesitate making any pronouncements on high about what this means, but that doesn't mean I won't enjoy however many books are done in this partnership. IDW also announced they'll be working with the Ninja Turtles and doing a collector's edition of Darwyn Cooke Parker stuff that includes added material. Even IDW's individual book announcements are pretty intriguing these days. 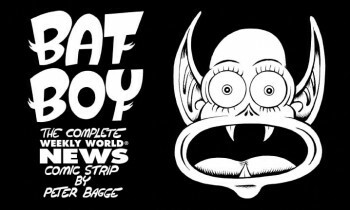 It's going to be a good year for Peter Bagge fans, as another collection of recent material will be made available soon from IDW: the Bat Boy strips. * I have no idea exactly what's inside the comics supplement of the Village Voice, but that's a heck of a cover. * Johanna Draper Carlson has a couple of nice publishing pieces: one on NBM doing a limited edition Rick Geary book but only making it available through direct orders; another on the return of Jane Irwin's Clockwork Game. * the writer Warren Ellis is going to script a bunch of one-shots for one of Marvel's Avengers comic books. * Titan Comics is doing a Family Guy comic. There's probably a joke to be made here like they're printing them on paper made from recycled Bongo comics, but I would never go there. * Chris Samnee's post Thor, The Mighty Avenger gig reveals itself to be a World War II-era book starring Captain America. * here's an interesting note: Mark Coale sent a quick e-mail to hear that the new Roberto Clemente graphic novel 21 is labeled as such at Borders so as to be shelved with the baseball books rather than the graphic novels. I mean, I know of material that gets shelved with its topic rather than with other examples from its medium, but that's usually when a store employee does it on a store by store basis. * happy news from AdHouse as they're collecting a bunch of the alt-weekly version of Jay Stephens' Jetcat material, the stuff that ran as Oddville. * a bunch of stuff will make its debut this weekend at the MoCCA Festival. It's the first super-big alt-comics and small press event of the year, so you're bound to see a bunch of material from that world of comics. Here is Sean Ford talking about what he's taking to the show. Colleen Frakes sent an e-mail to say that she'll have two solo pieces (The Trials Of Sir Christopher, Tragic Relief #11) and one anthology (Quatrro Monstro) at her table. I can't imagine attending and leaving without a set of these postcards. This doesn't even get into all the debuts from folks like the army of CCS students making the trip. 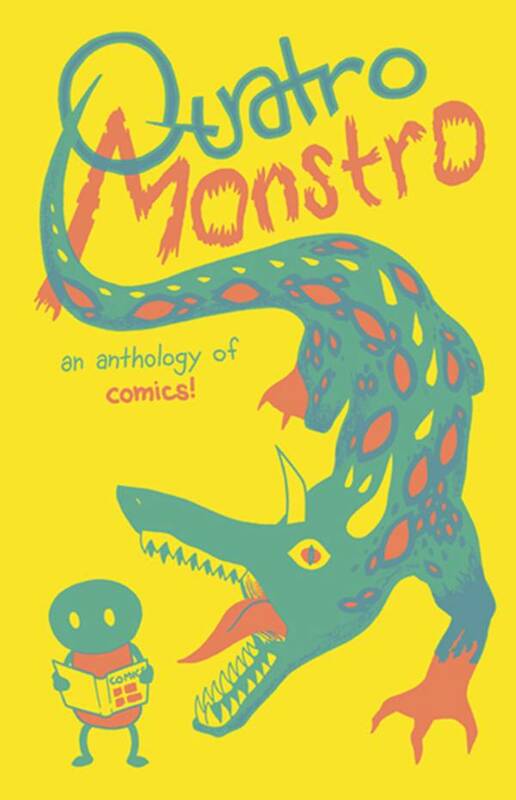 * finally, I think there's an 87 percent chance this will be the book of the show at MoCCA. It's really great-looking, and there's a bunch of color in it, which I didn't expect.